I was introduced to home construction at a young age remodeling a childhood home with my dad. My junior and senior year in high school – I assisted with construction of 2 homes by graduation from Kenai High School 1979. Since then I’ve built 2 more homes for myself and assisted friends with construction of theirs. Most recently I finished my latest home in 2010. I completed the 2,200sf living space, 2,900sf shop in 10 months while working a full time job. I did the majority of the work myself, including: framing, plumbing, electrical and finish work. My hobbies are quite varied – I like to work with lots of different materials: Wood, metal, glass and leather. I’ve created Damascus steel for knives, fire pits, furniture, gym equipment, and candle sconces. My latest project involves turning a 1960 Ford Falcon into a Classic Gasser. 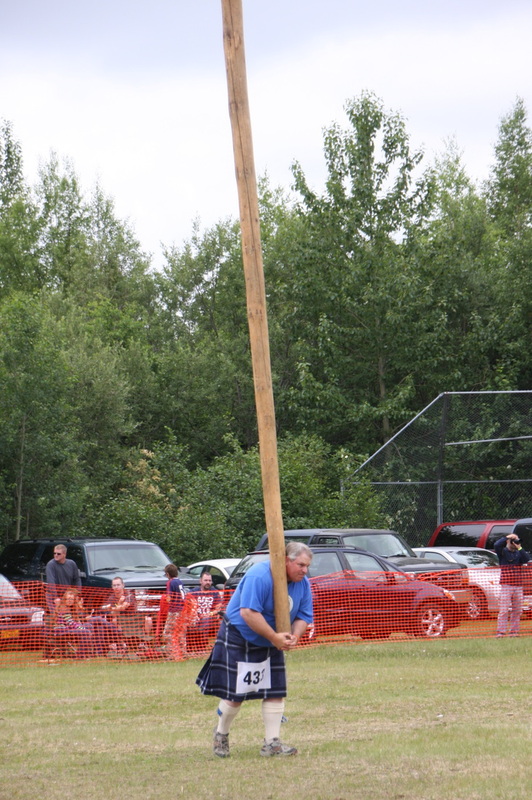 A strong family tie to Scotland led me into a sport I hold dear to my heart………… The Scottish Highland Games.